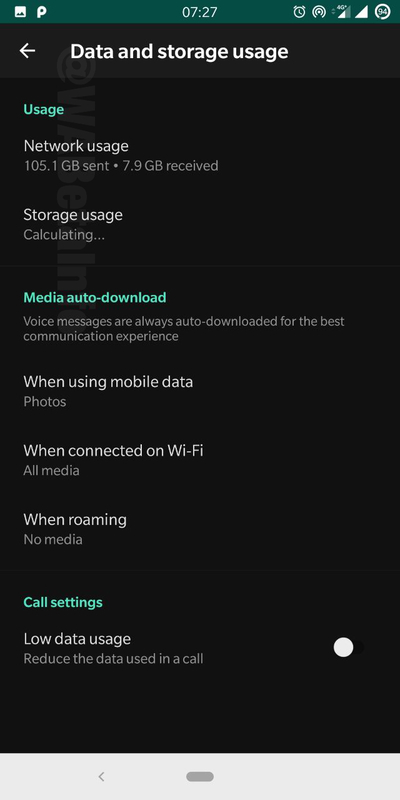 WhatsApp beta for Android 2.19.82: what’s new? WhatsApp has recently submitted a new update through the Google Play Beta Program, bringing the version up to 2.19.82. 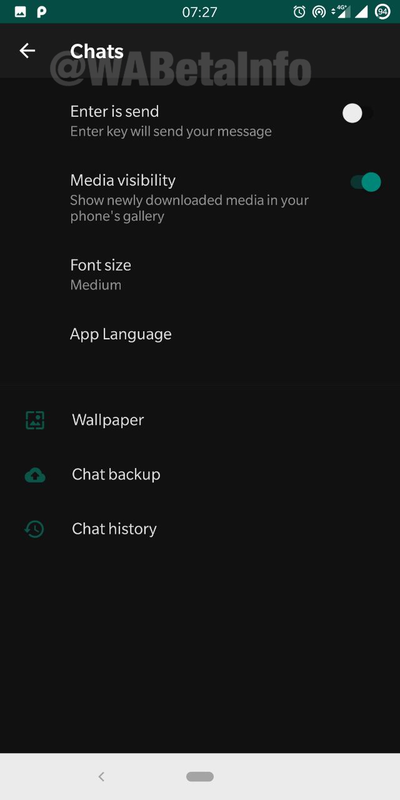 We are happy to be the first to announce that WhatsApp has finally started to work on the Dark Mode for Android! We found the first hidden tracks in the 2.19.82 update: nevertheless, the feature is not available yet for everyone. We gave you a sneak peek for the iOS Dark Mode, and we are ready to publish some screenshots to show how the Dark Mode looks! 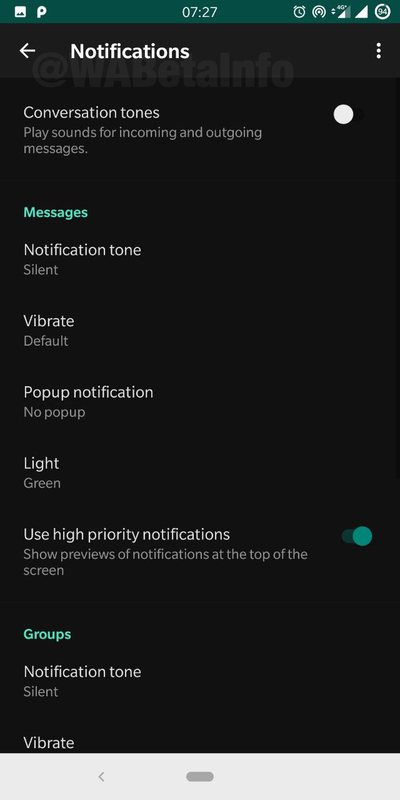 In the 2.19.47 beta update, WhatsApp has redesigned all Settings. There was a reason why they did so: to make Settings compatible with the new Dark Mode. 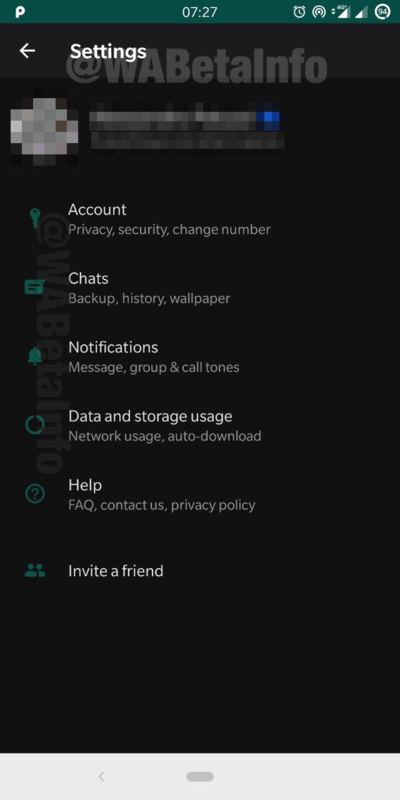 Actually, WhatsApp has implemented the Dark Mode (under development and not available yet!) in Settings only. Let’s see how it is! If you compare these screenshots from WhatsApp for Android with the iOS Dark Mode, you can understand that it won’t be OLED friendly but it’s based on a very dark grey color. As we wrote previously, the Dark Mode is not available yet and a release date is unknown: I suppose it will take time because the Dark Mode is not ready yet and it needs a lot of development. We will obviously inform you when WhatsApp rolls out the feature. Previous PostPrevious WhatsApp is rolling out the Short Link feature! 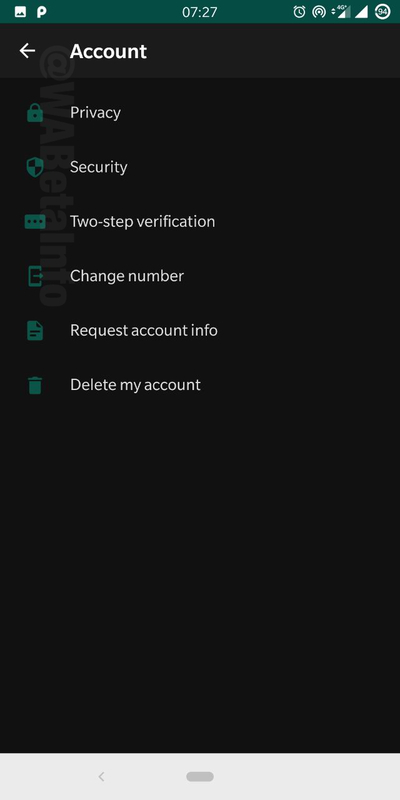 Next PostNext WhatsApp beta for Android 2.19.83: what’s new?